Corrosion is any pipeline’s enemy, but ignoring the warning signs can cost you more than just money. According to a report by NACE and CC Technologies appropriately titled “Corrosion Costs US Transmission Pipelines as much as US$8.6 Billion/Year” the cost of corrosion is estimated at between US$5.4 billion and US$8.5 billion per year. With the replacement value of the pipeline system in the US estimated at more than US$540 billion, there are a lot of good reasons to make maintenance and prevention a high priority. Now more than ever it is critical that pipeline operators utilise the latest resources and tools available in order to maximise both the life expectancy of in-service pipelines and the degree of safety with which they operate. NACE International has a collection of technical resources meant to help strengthen your corrosion management system for your pipelines through information on issues being faced, as well as procedures, tips and techniques for corrosion control. 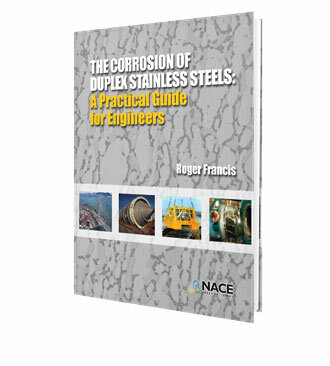 These books convey decades of industry knowledge, and provide practical tools to manage, prevent and mitigate corrosion. The accumulation of black powder is becoming more widely recognised as a common problem within the crude oil and gas industry and the economic effect that it may have, not only on flow efficiency or any deleterious effects on operating equipment, but also the cost of removal, is a growing concern. 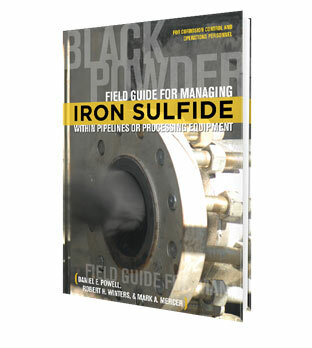 This book offers practical, straightforward guidance for new corrosion control professionals and operations personnel based at production facilities in managing black powder within their pipeline systems or processing equipment. It take a unique approach by focusing on what is 'black powder', and why it may be a concern, identifies health and safety considerations associated with it, H2S and the presence of black powder, as well as a discussion on field tests to be conducted, follow-up laboratory test that could be ordered, and an approach for using maintenance pigging, coupled with chemical treatments, to remove accumulations of 'black powder'. Duplex stainless steels (DSSs) were first invented in the early part of the 20th century, but it was not until the 1970s and 80s, with the introduction of argon oxygen decarburization (AOD) melting and the recognition of the benefits of nitrogen additions, that DSSs became attractive for widespread industrial use. DSSs have found applications in most industries, including oil and gas, marine, desalination, power, chemical and process, pulp and paper, and mineral processing. DSSs have been adopted by many industries to varying degrees. They are the workhorse corrosion resistant alloy (CRA) of the oil and gas industry, and are also widely used in the chemical and process industries for their SCC and corrosion resistance. Superduplex stainless steel has become the main alloy for piping, pumps, and valves in seawater reverse osmosis (SWRO) desalination plants, because of its resistance to crevice corrosion in seawater. In this book, Roger Francis reviews various duplex alloy compositions, mechanical properties, and design stresses for vessels and pipes to various codes. He also covers the basics of welding duplex alloys, both to themselves and to other alloys, and their corrosion resistance. Of most importance, the book looks at a variety of types of corrosion that may affect DSSs in service, presenting the available data and, in some cases, how to avoid problems. These titles, along with vast collection of books, reports and papers, educational courses, and standards to help complete your technical library, can be found by visiting the NACE Store at store.nace.org.